Worth’s cousin came to visit today and we went to Malvern for some lunch. I had hurt my little toe in the morning and as the day wore on it got more and more painful 😖, which didn’t please me as we had intended to go for a walk tomorrow. 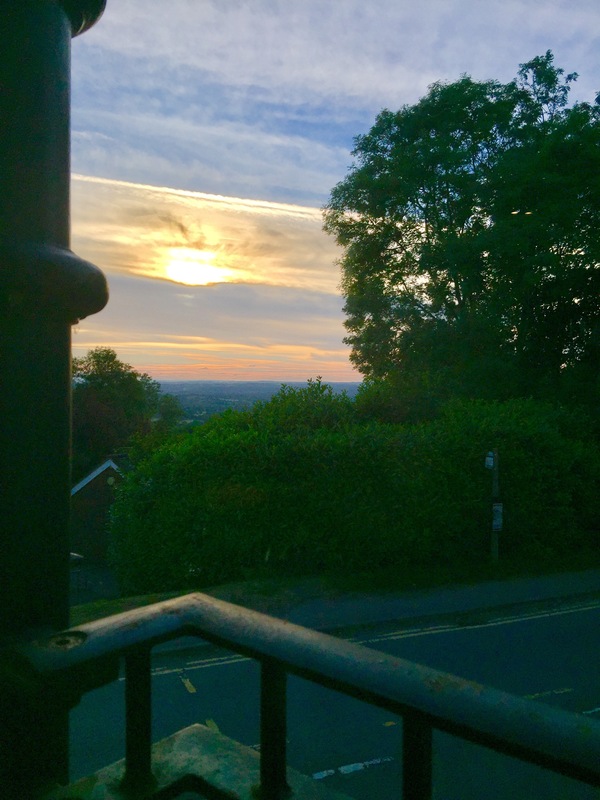 We went up to the Malvern Hills Hotel for our meal and sat in this lovely spot watching the sun set. did you break it? Hope it heals quickly. Quite possibly. It is spectacularly bruised this morning. Only hurts when I put a shoe on 🙄. A day of rest today I think.